Any large city has its share of traffic accidents and Philadelphia is certainly no exception! In 2014, 1195 people died from injuries sustained from traffic accidents in Pennsylvania. The number of deaths from traffic-related accidents in Philadelphia were 97. In 2013, total fatalities were 89, resulting in a 9% increase in just one year. If you’ve ever been in a car accident you know that insurance companies are usually contacted immediately. A police officer will take notes and create a report and the insurance companies go to work to resolve the damages. 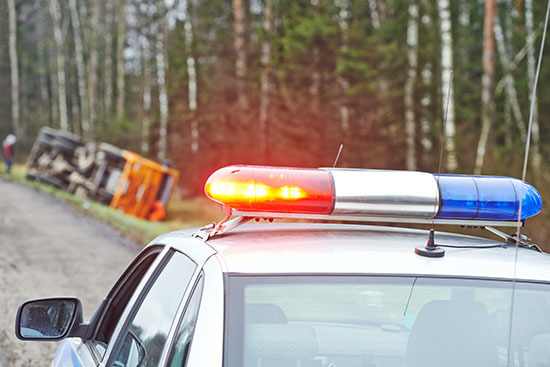 If you are the victim and are trying to receive compensation for your injuries, you will be contacted by the “at fault” driver’s insurance company. And insurance adjuster will immediately get to work to see what kind of settlement you should receive. There are many steps taken to determine what compensation you are entitled to. It’s also important to understand your rights and know that you can and should seek legal counsel if you feel you are not being treated fairly. An insurance adjuster is assigned to your case to investigate the accident and determine how much your case is worth. They are interested in paying out as little as possible while avoiding a lawsuit. If your case cannot be settled outside of court, you have the option of going to court and filing a civil lawsuit. If the case makes it to trial, the judge or jury will decide who is liable and what damages are fair. This is very risky for an insurance company. So an insurance adjuster has the job of getting you to accept the lowest settlement possible without you filing a lawsuit. With personal injury cases, insurance adjusters consider the same factors that juries would look at in deciding what damages deem appropriate. They look at actual expenses that have been incurred such as medical bills, losses such as lost income or wages, pain and suffering damages and emotional distress damages. Some of these costs are easy to determine like medical bills that can easily be added up. Pain and suffering, for example is much more subjective and harder to determine. Calculating pain and suffering is complex and insurance adjusters usually have a system that they use. They could offer a set amount for each day you are suffering or they can multiply the cost of the actual losses like medical bills and lost income times a set number. Insurance adjusters will also consider policy limits of the insured and the strength of your case as the plaintiff. Once you understand how insurance companies work, you can use this information to negotiate the best settlement possible. It would also benefit you to hire a personal injury attorney. This lets the insurance company know that you take your rights seriously and that you will be filing a lawsuit if you don’t receive a fair settlement. Your attorney can determine your specific case and what it should settle for. They can use their legal knowledge and negotiation skills to get you the best outcome possible. Consider reaching out to the Martins Mill Legal Center if you think your case is worth more than the insurance companies are willing to settle on. The lawyers at Martins Mill understand Pennsylvania law. If you are seeking a Philadelphia personal injury lawyer, contact us today.